Mr. Joseph Walusimbi holds a Doctorate degree with a sustainable development research focus on the application of industrial analysis models to identify and address challenges and success factors of specific sectors. 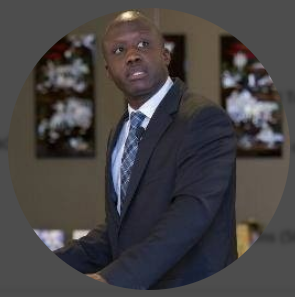 Dr. Joseph Walusimbi is an avid entrepreneur, management consultant and social development enthusiast embodied with a wide array of skills which when applied to enterprises and community development initiatives has proven to lead to significant growth and humanitarian development. He has 22 years of global experience in commercial, development and education sectors; various departmental roles in FMCG and services industries, leadership of projects for NGOs and community-based organisations, global advisory services for nascent and established entrepreneurial ventures, as well as thought-leadership based courses facilitation for local and regional management institutes. He is multi-skilled particularly in the areas of Export Development, Social and Development Research, Value Chain Analysis, Agricultural Commodity Resource Platforms, Channel Marketing, Commercial Management, Stakeholder Communications, Program Management, Organizational Development and Strategy Development. Because of his enthusiasm for socio-development initiatives, he is a founder and Executive Director of Youth Take Leadership – Africa (YTL-A), a registered non-governmental, non- political, non-religious, not for profit organization established in 2017 by a group of professionals representing diverse sectors. Their aim is to foster social and economic development for communities by enabling an effective environment for youth to engage in decision making and empowering them to be the solution to critical social issues.